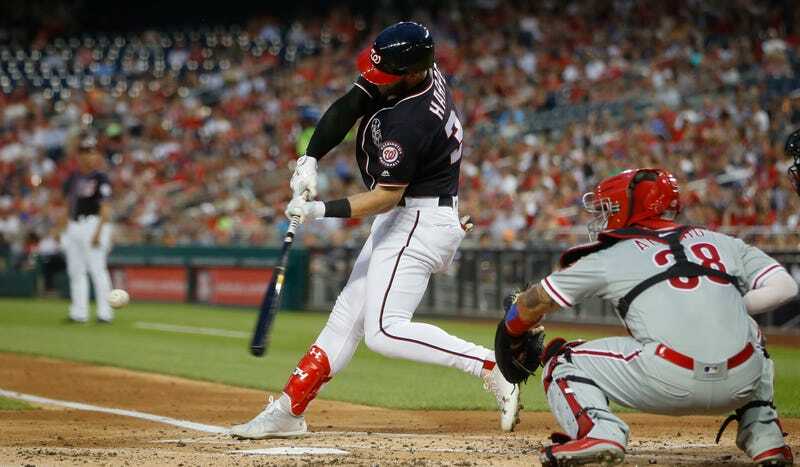 New Nationals manager Dave Martinez moved Bryce Harper to the leadoff spot on May 1, with the Nationals sitting at a disappointing 13-16 on the season and mired in an offensive slump that saw the team produce more than four runs in a game just once over its previous nine games. 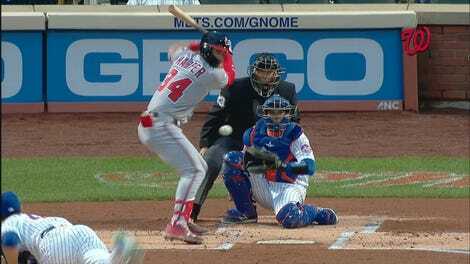 Martinez had said that Harper was getting frustrated at not getting a chance to extend his arms and really unload on a ball because of the way he has been pitched in April. But Harper says there is a positive about getting walked 38 times. The logic goes like this: if opposing pitchers continue pitching around Harper in his new leadoff spot, they’ll have to accept starting every game with a runner on first. The batters behind him will get more chances to move a runner along with no outs, as well as to stand in against a pitcher working from the stretch. And, if nothing else, Harper will get more plate appearances, and that can never be a bad thing. You could say it’s working! After a 3-2 series-opening win against the Pirates on April 30, Harper was batting .247 with an MLB-high 38 walks on the season. In the four games since, batting leadoff, Harper has gone 6-for-17 from the plate (.353) with a double, four home runs, and nine runs batted in. Pitchers are finally throwing him strikes—he’s walked just once as a leadoff man—and the Nats have scored 31 runs in four games, and swept a series for the first time since their season-opening series at Cincinnati. Yes, the sample size is vanishingly small. But the early results are encouraging for a Nationals team that hasn’t started the 2018 season anything at all like the way they’d hoped.